As we reported in our October 2, 2014 article Troubled times at TEEMCO and our follow-up report TEEMCO implicated in massive tax evasion scheme, the Edmond-based company has been embroiled in legal and financial problems almost from its formation in 2010, and those issues continue. Several new lawsuits have been filed against the company and its CEO Greg Lorson in just the last few weeks. 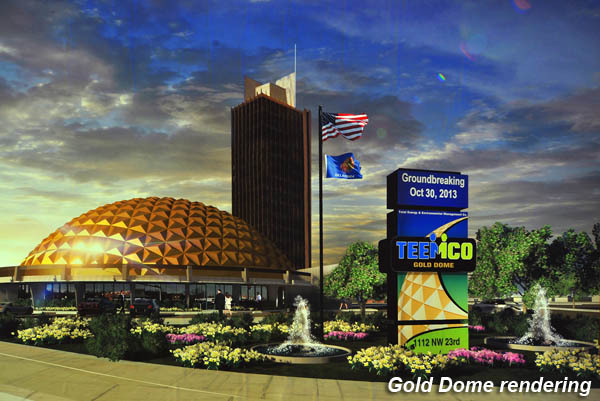 After our initial report, the company told The Oklahoman they were merely experiencing “financial stress” and then later announced plans were moving forward with their ambitious plan to move into the iconic Gold Dome building. However, after promising to make the move in January, as of this writing the company remains in its modest Edmond location and is now facing several new lawsuits. One of TEEMCO's bold endorsement deals inked in 2013 was with local CBS affiliate KWTV. In the fall of 2013, TEEMCO and Channel 9 entered into a contract for advertising on the TV stations's website and newscasts. The 12-month deal was for a total of $200,000 to be billed once a month in 2014. However, court documents show TEEMCO fell behind in their $16,667 monthly payments before Channel 9 stopped running their promotions and sought to collect the past-due debt. Now, Channel 9 has assigned its debt to a California-based collection agency which has filed suit in Oklahoma County courts for $78,000 in past due billings, plus various related costs. The case is still pending. Another lawsuit was filed against TEEMCO just this past week in Canadian County for eviction and past rent for a water bottling and purification company near El Reno. In 2014, Brothers Bottling Company, LLC entered into a lease-purchase agreement with TEEMCO whereby $15,000 would be paid in monthly installments, with a large sum due at the end of the term. After several late payments and bounced checks, TEEMCO is now facing eviction for being more than two months late on payments and owing more than $32,000 to Brothers. Also, in Troubled Times we noted a near eviction for the company at a warehouse in North Oklahoma City. That landlord is once again suing TEEMCO for eviction, past due rent and breach of contract, in excess of $75,000. They are also suing CEO Lorson, as he had provided a personal guarantee on the lease. And just last week, a judgment for Forcible Entry and Retainer was handed down against Lorson for the residence he's occupied for at least seven years. Lorson had twice staved off eviction in just the last 15 months, but this time the judgment went through which allows the landlord to take possession of the property and lay claim to past due rent, late fees and court costs. 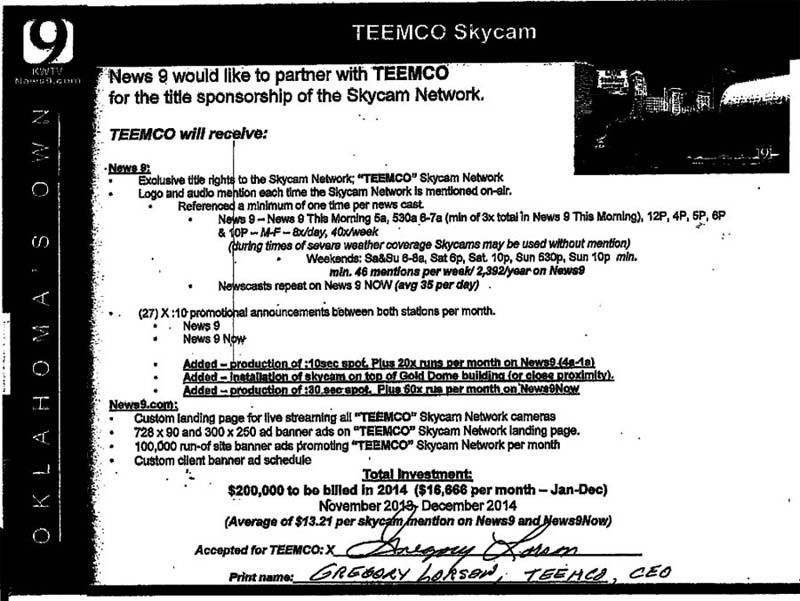 A call to TEEMCO offices on 2/9/15 verified the company is still operating from its Edmond offices, although Lorson had told The Oklahoman in an 12/24/14 article they would be making the move in January. In 2013, TEEMCO announced plans to acquire and renovate the iconic structure, yet it remains empty with only minimal renovation work having been performed.